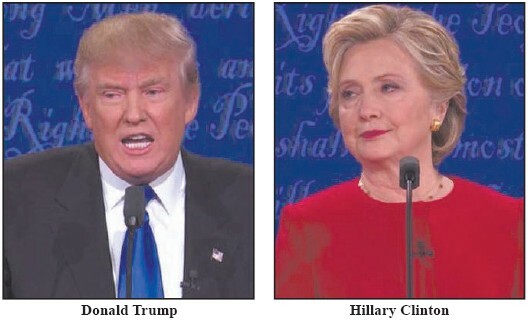 Hillary Clinton forced Donald Trump to go into a defense mode over his temperament, refusal to release his taxes and his past comments about race and women during the first presidential debate held last Monday night. Clinton, who has seen her lead in the polls of the presidential race reduced in recent weeks since the Democratic convention, delivered a strong performance against Donald Trump. She demonstrated a command of policy and a sense of humor, smiling through some of Trump’s stronger attacks. She delivered the best response of the evening with criticism from Trump for staying off the campaign trail recently. “I think Donald just criticized me for preparing for this debate,” she said. “And yes, I did. And you know what else I prepared for? I prepared to be President. And that is a good thing.” She also threw a punch when she stated… ‘He has a long record of engaging in racist behavior’ speaking about the discriminatory lawsuits that had been filed against Trump and his housing development. Trump delivered some key points on economy and jobs at the beginning of the debate. But the debate revealed Trump’s tendency to make false claims as he made inaccurate statements on everything from laws regarding policing, his support for the Iraq War and his contention that Clinton was behind the so-called birther conspiracy.